I finally finished shearing sheep and began processing all that wool, spinning it up into yarn, and starting projects again. 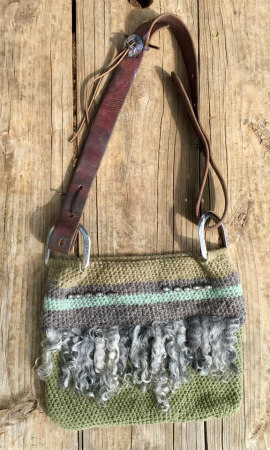 I have started making purses using Navajo Churro sheep yarn, angora locks, and recycled saddle and bridle parts. 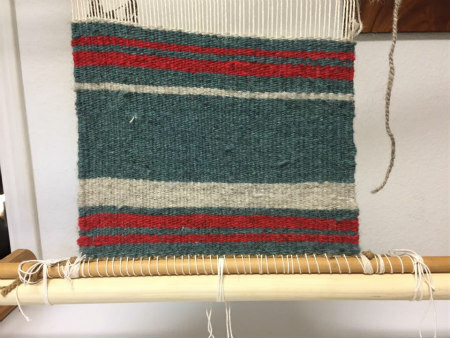 I've also started my Navajo weaving. This one is destined to be a purse too. The month of June was a busy one. 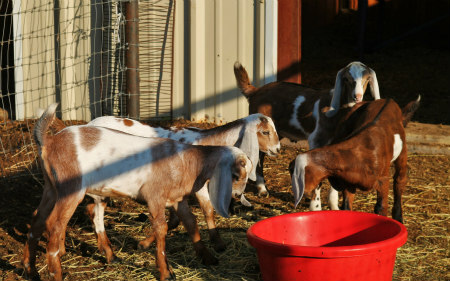 The dairy goats were kidding. 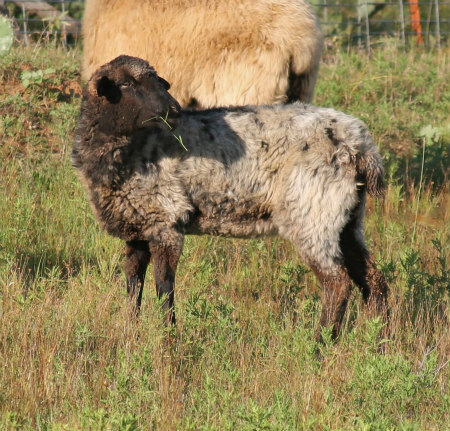 No sooner were baby goats on the ground than I was packing my bags to head to Tsailes, Arizona where the big Sheep Is Life event was being held on the Navajo Reservation at the Dine College. 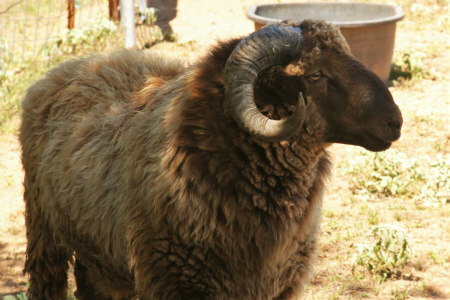 This is a celebration of the Navajo Churro sheep. 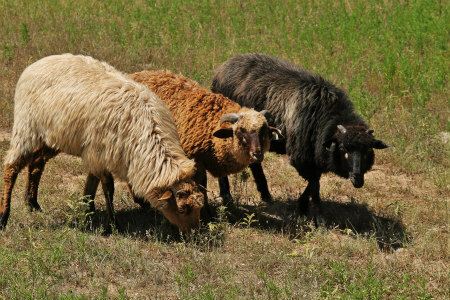 These sheep are to the Navajo what the bison was to the plains tribes. 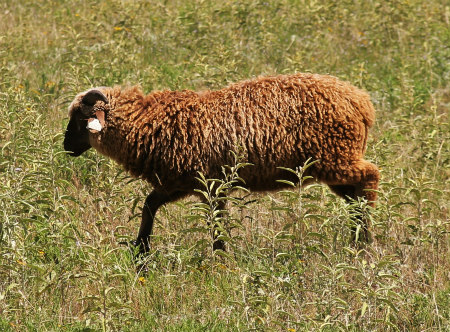 The sheep is a gift from God which provides meat, milk, and wool. 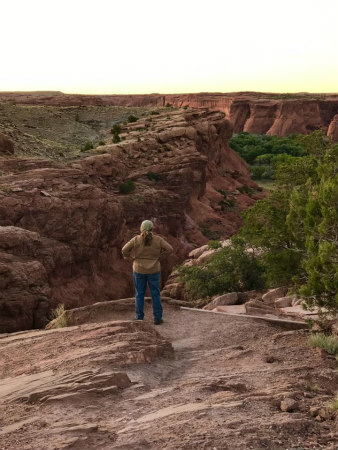 Theirs is the fiber used in the beautiful Navajo rugs. 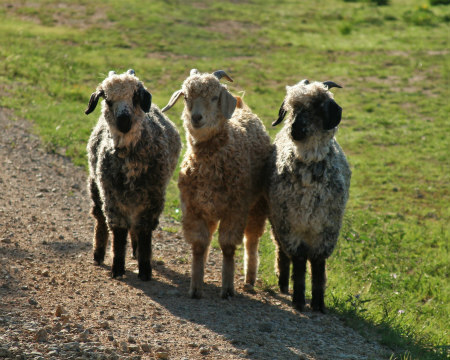 While there, I picked up three more churro ewes and two young churro rams. Since I've been having so much fun needlefelting Angora locks onto my projects, I picked up these adorable colored Angora yearling wethers. 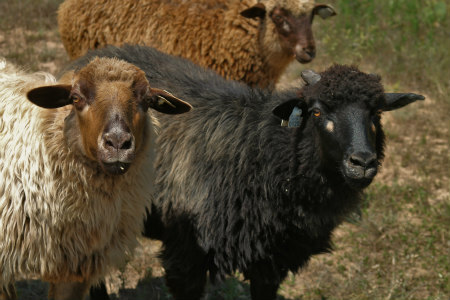 I'm really looking forward to using their curls in my weavings. 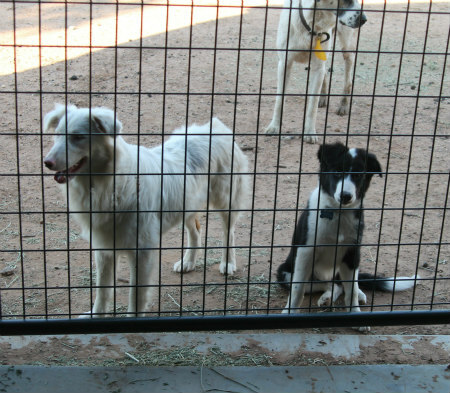 And while I was in Arizona, someone sprouted legs - and ears! Wyatt continues to grow like a weed after a rain. He is old enough now to participate in chores. 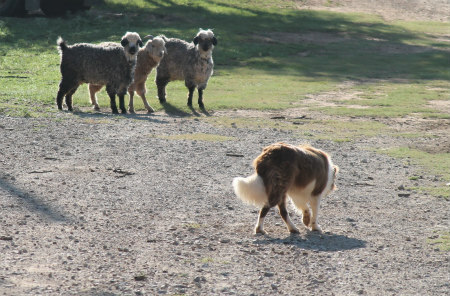 This mostly entails trotting along with the older dogs while they move stock from pen to pasture and back. 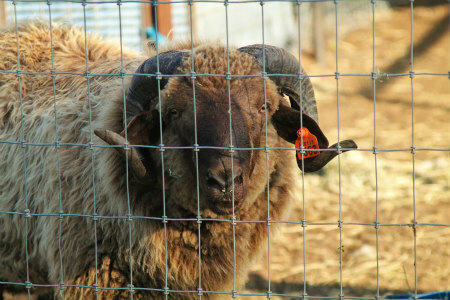 Wyatt is already getting the hang of it and has a presence that gains respect from the sheep. Right now his only commands are "that'll do," "here," and "AHHHHH!" 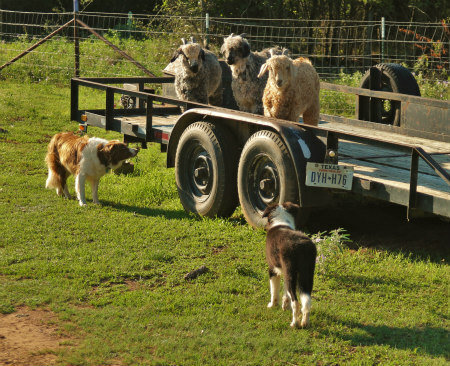 Here he follows Trace who is putting the goats onto a trailer. Once the goats were on the trailer, I called both boys off and Wyatt happily bounced back, certain that he moved the goats all by himself. And so there it is, a whirlwind month of ranching, writing, and learning to create from fleece to fiber.